Hands are one of those parts of the body that is always open, they pay attention when meeting. The concept of “well-groomed hands” includes several components, firstly, the purity of the hands, secondly, the softness of the skin and, thirdly, healthy nails of the same length and beautiful manicure. Make strong nails is not so easy, it will take a lot of effort. To nails were neat, strong, you must daily monitor their condition. Caring for them also includes monitoring the internal state, that is, it is recommended to take multivitamins in the autumn-winter period, eat fruits, vegetables, and calcium-containing products such as milk, cottage cheese, cheese. In addition, it is important to follow the daily routine and get enough sleep, because stress, lack of sleep badly affect the appearance, including the health of nails. In order to always have healthy nails, so that you do not have to increase them in the salon, you need to make various masks, baths for them. Among the means of improving the appearance of nails, a special place is occupied by essential oils. Their popularity has its roots in ancient Egypt, the Egyptians discovered the miraculous properties of essential oils. Subsequently, they became widespread in Greece and India. Essential oils are volatile compounds that are obtained by distillation of flowers, tree bark and plants. They penetrate into the deepest layers of the skin, this causes a healing effect, but the same symptom can contribute to burns and allergic reactions. That is why in cosmetology, this product is used only with base oils. Lemon It is the best essential oil for nails. Manufacturers often add it to cosmetics, because it has firming properties. Lemon essential oil has antibacterial and antiseptic effect. Those girls whose nail plates have acquired a yellowish tint, it will be especially useful, as it helps to whiten. In addition, the elements that make up the tool nourish the cuticles, saturate them with vitamins. Masks with the addition of lemon essential oil accelerate blood circulation, which helps to accelerate the growth of nails. In order to bleach them, it is necessary to rub it daily, but use the oil not as a standalone product, but in conjunction with base oils, for example, olive oil, the most affordable. Apply it to a few hours before contact with sunlight. Grapefruit It gives shine to nails, promotes quick healing of cuticle. 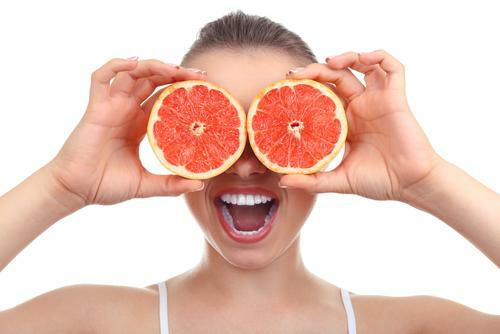 Like lemon essential oil, grapefruit oil has whitening properties. The yellowness of the surface is a consequence of the frequent use of bright varnishes, which spoil the natural color of the plate. Grapefruit oil fights fragility and delamination. Trace elements included in its composition, increase strength. This product is more rational to add to the bath at least twice a week. Ylang Ylag. It can be used in its pure form to add shine to the nails. To do this, drop a few drops on the buff and polish the surface with it. Ylang-ylang essential oil is often used to strengthen the nails, it also eliminates brittleness and prevents delamination. The oil of a rather exotic plant effectively moisturizes, heals and nourishes, and contributes to accelerated growth. This tool can, for example, be added to hand cream. You can also independently prepare a mask of thirst and ylan-ylang oils, 1-2 drops of essential oil are enough for 5 ml of base oil. There is no need to wash off the composition, it is enough to soak the skin of the hands with a dry cloth after half an hour in order to get rid of the excess. Eucalyptus Thanks to him, moisture retains in the plate, has antiseptic properties. It is recommended to use before manicure, as it has a disinfecting effect. Bergamot. It is their custom to treat weakened nails that have been extended for a long time. The tool promotes healing of the cuticle, it is recommended to rub it daily in the nails. It must first be tested on the crook of the elbow to confirm or deny the presence of allergies. Geraniums Perfectly moisturizes dry skin of the cuticle. It shows its properties most vividly as an additional component in a salt bath. Tea tree. This record holder for quick disposal of bactericidal diseases. It is often used to treat various diseases, it perfectly restores the nails, helps to improve the cuticle. The composition of the essential oil includes such elements that activate the immune system of the whole organism. Nutrients and vitamins help moisturize and strengthen. It is even used to fight fungal diseases. You can use it in its pure form, putting a few drops on the plate. 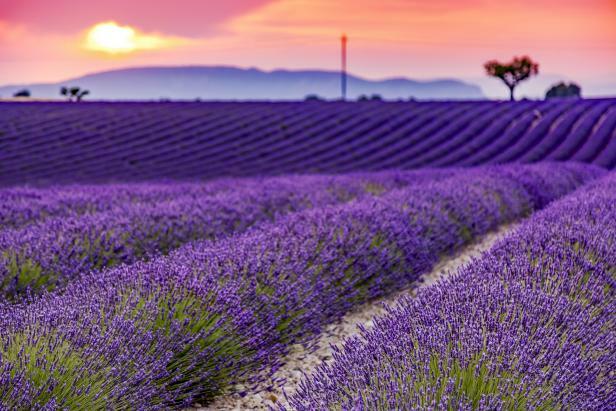 Lavender It not only smells great, but also helps to make your nails beautiful, smooth and smooth. It can be mixed with almond oil and apply the composition on the nails, then wear gloves for several hours, this will increase the penetration of useful substances into the deep layers. Baths based on it feed and cuticles, which are particularly affected in the winter period of time due to sudden changes in temperature. Patchouli. It fights with many diseases of the nails, it also strengthens the plate, moisturizes the cuticle, adds shine to the nails. Rosemary. They can perfectly whiten their nails, prevent their separation. Like other oils, it can be used in the form of compresses, baths.Treatments for nails with the use of essential oils will replace expensive creams based on synthesized elements that do not contribute to recovery, but only create the external effect of well-groomed hands.